Home / Financial Tips / How Much Does Your Commute Cost You? How do you usually start the workday? Are you blurry-eyed and tired, racing against the clock as you get dressed and out the door? Or do you wake up ahead of your alarm clock feeling rested and ready to take on the day? No matter what state the morning finds you, in all likelihood you hop into your car to drive to work. It’s something three-quarters of Americans do every workday. Whether lurching through school zones or merging onto crowded highways, your commute takes up a lot of your time — roughly 26 minutes each way for the average commuter! But time isn’t the only thing your daily back-and-forth steals from your day. It also takes up a lot of your cash. If you think your transportation costs have taken your budget for a ride, keep scrolling. Today we’ll look at the top three most expensive issues commuters face, along with suggestions on how you can tamp the brakes on your automotive spending. Picture this: you’re late for work, so you drive with a heavier foot than normal, edging close to the speed limit as you navigate your way through your neighborhood. You’re making good time until you hit the freeway. The on-ramp is clogged with a lineup of cars all waiting to merge onto a road full of honking vehicles belching exhaust. This is where the test of your morning commute truly begins, as you lurch through stop-and-go traffic for what feels like forever. You may not have to imagine it. 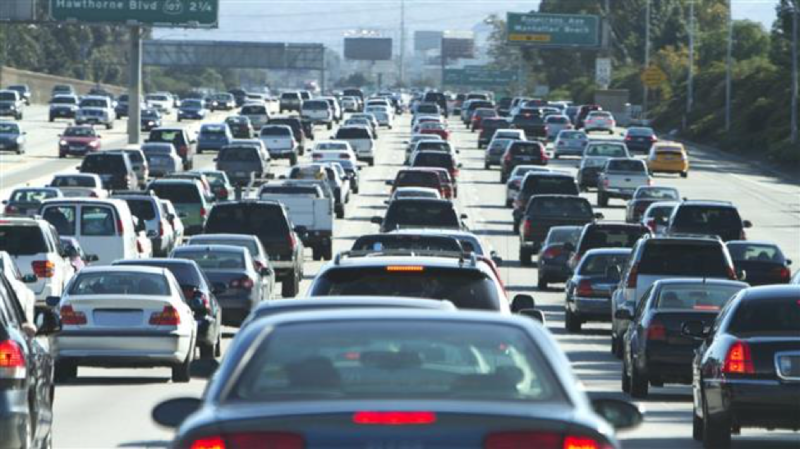 A recent study suggests the U.S. has the worst traffic congestion in the developed world. If you’re like most people, this could describe your very own commute quite accurately. Last year, INRIX, a traffic and transportation analytics firm, conducted a massive study ranking the impact traffic congestion has on motorists around the world. The INRIX Global Traffic Scorecard compared traffic times in 1,360 cities across 38 countries and 5 continents and estimated both direct and indirect costs to drivers. Check out the top 10 most congested cities in the country to see if your hometown made the list. The results may not be surprising — even if you don’t live anywhere near these metro centers. You don’t have to spend your daily commute on L.A.’s I-405 to know that the City of Angels is known for some of the worst traffic jams in the country. Its reputation precedes itself. L.A.’s traffic is so bad that it hangs onto the number one spot in a global context, outranking Moscow, Russia and Sao Paulo, Brazil for its place at the top. Meanwhile, the U.S. tied for fifth place with these two nations on the top 10 most congested countries. Unlike the leaderboard of your fantasy football league, placing anywhere in this competition isn’t something to celebrate. For L.A. drivers in particular, INRIX found they spent roughly 102 hours stuck in traffic during peak congestion hours in 2017. This time spent idling cost each driver approximately $2,828 in time, fuel and other indirect costs as a result of time wasted on the roads. But what does this mean if you don’t live in Los Angeles or any of the cities in the top 10? INRIX’s study found the average driver in the U.S. spent roughly 41 hours in traffic, which cost each driver roughly $1,445 in 2017. With a sea of red brake lights in front of you, driving through traffic can feel like you’re moving at a snail’s pace. If it weren’t for the cacophony of horns and smell of exhaust, you could mistake this slow progress down the highway as a calming exercise — at least for your car. Compared to speeding down an empty freeway, gridlock should be a piece of cake for your vehicle. Not so fast. Stop-and-go traffic is some of the hardest miles you can put on your vehicle. The constant idling, in between the tapping of your foot against the brake as you inch along the asphalt, puts pressure on your engine and brakes. Letting your vehicle run for long periods of time challenges your engine’s ventilation system. 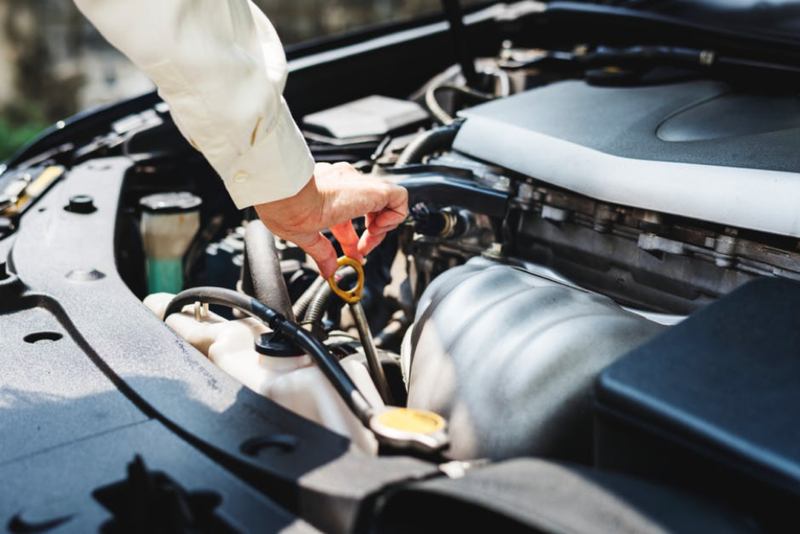 At the risk of being brief, the engine under your hood uses a set of pistons to compress air and vaporized gasoline in a cylinder, where this mixture is ignited to create a controlled explosion. This explosion is what powers your engine. This process naturally produces condensation and combustion by-products. Normally, a well-working engine flushes out these by-products as well as any incompletely burned fuel, preventing deposits from gumming up the system or causing corrosion. When a vehicle idles too long, it’s ability to remove these unwanted deposits diminishes. Over time, these deposits can create obstructions that interfere with the flow of fuel in a way that may affect your fuel efficiency. Engine residue may also cause physical damage that may result in an urgent and potentially expensive visit with the mechanic. Nobody wants to take their car to the mechanic in an emergency. Last-minute repairs can cost a lot of money — especially if you visit your mechanic outside of normal business hours. If you don’t have any wiggle in your budget or savings for an unexpected and unavoidable repair, you may have to explore available options such as a quick payday loan to help you cover this bill. Use top-tier gasoline: At the typical pump, you have a choice of different grades of fuels. If you’ve always chosen the cheapest option, you may want to rethink your behavior at the gas station. 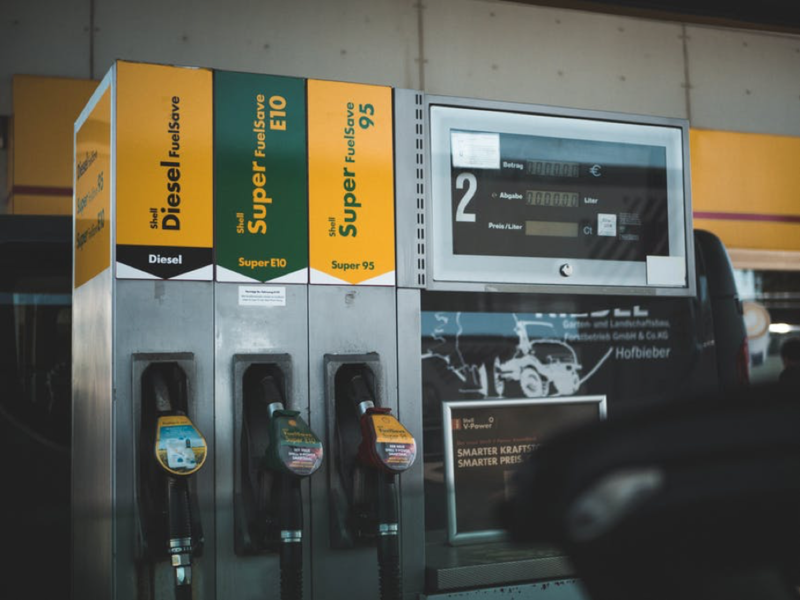 According to a recent study by AAA (the Automotive Association of America), top-tier gasolines are worth the extra cost, as they have detergent additives that improve the driveability of your vehicle by breaking down deposits. Speak with your mechanic: The next time you bring your vehicle in for a tune-up, talk to your mechanic about a fuel system cleaner. They add this detergent to your fuel tank, where it slowly removes any build-up interfering with your engine as it burns through gasoline. Alternatively, your mechanic can clean the engine manually for a more immediate solution. Find an alternate route: You may be able to cut down your idling time simply by changing the way you get to and from work each day. If you aren’t sure how you can avoid traffic on your new route, download a free app like Waze. It lets you see current travel times and route details submitted by other users on the road. You may be able to use their submissions to avoid the most congested streets in your area. 2. Road Conditions: How Bumpy is Your Commute? After traffic jams that seem like they’re never-ending, what’s next on the average driver’s gripe card? Why, it’s road conditions, of course. 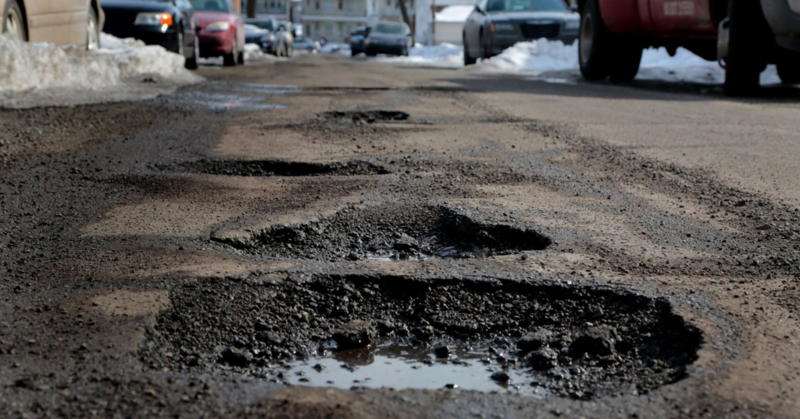 Driving over potholes may turn an otherwise smooth ride into a teeth-rattling trip. If you feel the phantom vibrations of a rough ride long after you’ve parked and locked up, you wouldn’t be alone. According to a report by TRIP, a not-for-profit transportation research group, 33 percent of the country’s major urban road systems are in poor condition. In addition to ranking the roads with the worst conditions, TRIP calculated what these roads would cost drivers on top of their regular operating costs. For the full list of large urban areas, as well as a broader look at mid-sized urban areas, check out the report for yourself. When your daily commute takes you along pitted roadways, you may dream of smooth, freshly paved asphalt. Unfortunately, potholes are an inevitable reality of any well-traveled road that isn’t maintained regularly. Tires and wheels: As the first point of impact, your tires take the brunt of the damage. Perhaps the worst result of a pothole is a flat tire, but sometimes the damage isn’t as obvious as a blow out. Potholes may damage the inner lining, rims, or lips of your wheels. Suspension and alignment: Driving on rough roads can damage the shocks and seals of your vehicle’s suspension. Whether you’re driving an old beater or a brand new lease, you’ll notice this damage right away, as it will affect your vehicle’s handling. Undercarriage: Damage here is reserved for the largest potholes. If they’re deep enough, the underside of your vehicle may scrape along the pavement, potentially puncturing something important and causing fluid to leak. What can this cost the average driver? The damages a pothole may cause could come with a serious bill attached. The million-dollar question is how much you can expect to pay. You may be able to answer this easier by scrolling up and looking at the far-right column of the table above. You’ll see the average additional vehicle operating costs attributable to rough roads for each urban area. TRIP arrived at this number after analyzing the cost of repairs as a result of driving on damaged roads. They also factored in the accelerated vehicle deterioration and depreciation caused by rough roads, as well as additional fuel consumption resulting from the road conditions. The report may be bad news for some drivers in San Francisco. With a spot on the top 10 list of both studies, San Francisco’s road conditions and congestion may result in higher operating costs for these drivers than those who live elsewhere. How does your city compare to the Golden City? TRIP reports road conditions cost the average driver $599 each year. You may want to factor this number into your car care costs when you revisit your budget. It’s also a good idea to compare this estimate to what you spent on your vehicle last year. These numbers may help you guess how much you can expect to spend on this year’s maintenance and repairs. Properly budgeting for these expenses may help you develop an auto fund that allows you to take on proactive and emergency repairs without a second thought. When you can set aside cash towards your vehicle’s upkeep, you’re less likely to use personal loans to cover essential repairs and maintenance. Worst commutes: check. Worst road conditions: check. Next up on what could make your typical workday travel experience stressful is your fellow driver. Some drivers refuse to use their signal when indicating a turn, abruptly pulling into a driveway as you slam on the brakes behind them. Others swerve in and out of lanes, squeezing in without leaving a safe distance between vehicles. More still race through stop signs without giving right of way or use their phones to text while driving. In any case, bad drivers make your commute longer and less safe. 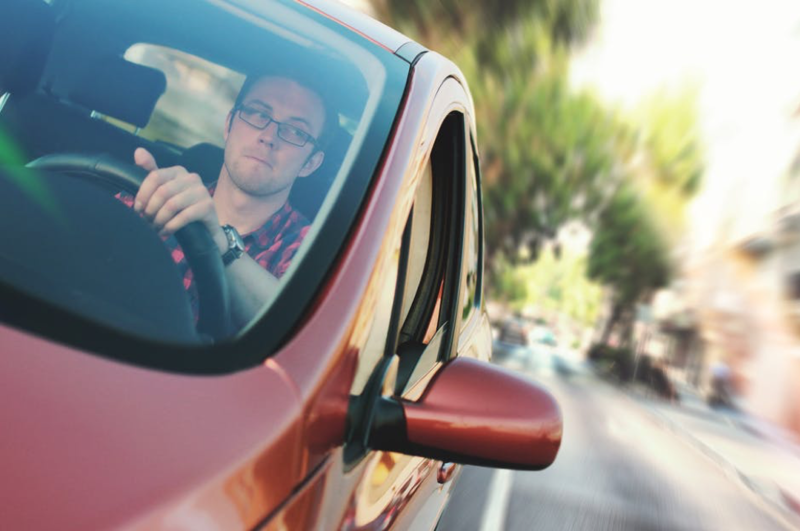 Whether laying blame on the drivers in the next lane or slinging accusations at drivers across the country, most motorists have a strong opinion about bad drivers. You may be curious to know which city has the worst drivers. Regardless of where you live, negligent driving may be the cause of more than one road-related headache. It may also be the cause of your financial woes. Bad drivers create unsafe conditions that may result in frustrating delays, minor rear-ending collisions, and more significant crashes. Even with insurance, you may end up paying out of pocket to cover repairs or necessary medical expenses. Although no one wants to imagine themselves getting into an accident, it’s better to be prepared than caught unaware. Setting aside some money on top of your routine car costs may help you face the unexpected with more confidence. A robust emergency fund may help you deal with repairs or medical bills without seeking other sources of funding such as an online loan. If you’re ready to start saving (or save more than you already do), check out our savings tips to help you contribute regularly to your emergency fund. This guide shares how you can commit to your savings goal without feeling like you’re sacrificing too much. When you’re stuck with a horrendous commute day in and day out, you may fantasize about quitting so you never have to deal with rush hour traffic ever again. In all likelihood, this daydream will never become a reality. Quitting your job isn’t any more practical than honking your horn in gridlock when there’s nowhere for anyone to go. Carpooling: Ask your friends and co-workers how they get to work each day. They may drive the same roads at roughly the same time as you. If that’s the case, you can suggest carpooling to split the responsibility and cost of driving every day. Don’t worry, even if you take an unusual route to work, you may still be able to carpool by using Tech Republic’s list of the top 10 services to help you find people in your area who are looking to carpool. Public transportation: Depending on where you call home, you may have access to a reliable public transportation system. Whether by bus, train, subway, or light rail, you may find transit is a more convenient and cheaper option. Not only do you get to avoid the daily wear and tear on your vehicle, you get to save on the cost of gas, parking, and other driving expenses. 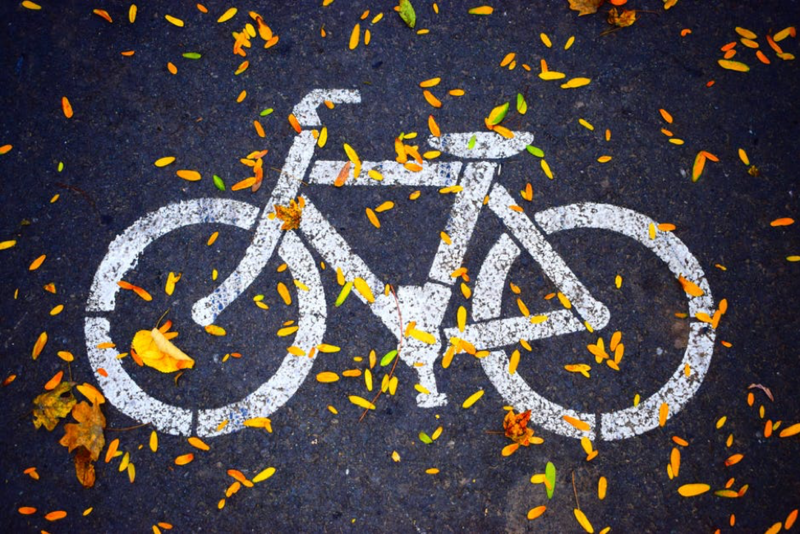 Biking or walking: Try trading your four wheels for two or strapping on your walking shoes to see how you can improve your commute. By removing yourself from bumper-to-bumper traffic, experts suggest there’s evidence you may improve your mental well-being by taking a more active way to work. Working from home: Does your office have a remote worker policy? If you work in an office, you may have the option to work from home. Ask your boss to see if this is something your office supports. Even if they approve just one day a week spent working from home, that’s one day you don’t have to commute! Though more popular now than ever before, working from home is a luxury few people can enjoy. Luckily, even if you have no workplace flexibility, you may find savings elsewhere. The trick is to customize your savings plan by finding techniques that work for you. Whether that’s carpooling a few days a week or bringing a packed lunch to work (like we suggest in our savings guide) depends on you. Between the effects of gridlock and the consequences of driving on poorly maintained roads, the cost of driving to work every day can add up. According to the studies we looked at today, these conditions may tack on more than $2,000 to your routine auto care budget. That’s no small sum — especially if you have very little cash to spare for transportation. 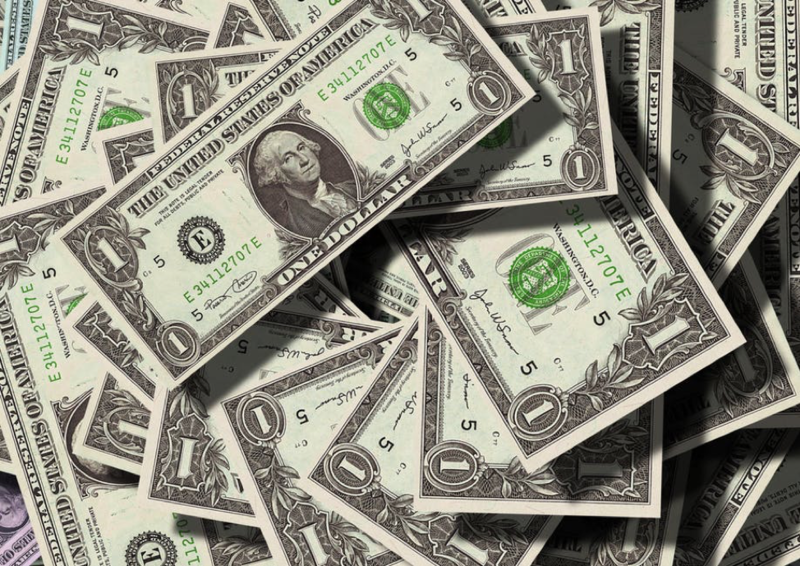 Although installment loans online may be a backup for when an unexpected repair costs more than you anticipated, they aren’t meant to help you keep up with routine maintenance. For that, you need to find a budget and savings plan that works with your lifestyle. Small decisions made throughout your day may have the power to put a stop to your savings as effectively as the red light at an intersection. Make the right changes to your habits and you may give your savings a green light. Whether your intent is to accelerate how quickly you save for your emergency fund or you want to take control of your routine auto care budget, see what you can do to open the throttle on your savings.